Sometimes when we have photography sessions with children shyness becomes a factor. Fortunately both Jeff and I are photographers and there is usually one of us that becomes the "chosen one" with kids, and it's usually me...*cough*. Actually it's about 50/50, but I like to tell myself I am more likeable than Jeff! When Parker came into our studio for his one year session he definitely played shy, but in the end we both won him over- he liked me the most, and we captured some really amazing shots of him. 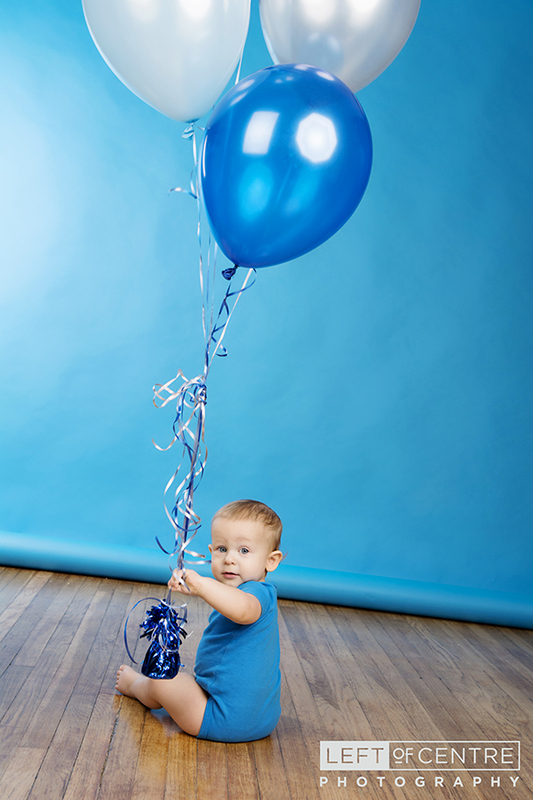 This is the first one year old session in a while where we didn't do a cake smash and had some fun with balloons instead. We had such a great time and all of us ended up in giggles- which is always my favourite!